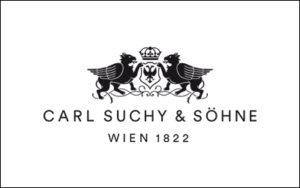 150 years ago, there was only one address for luxury watches in the Austro- Hungarian Empire: Carl Suchy & Söhne. The Austrian Purveyor to the Royal Court gained international reputation for his product’s innovative technology and timeless elegance, and catered to the likes of Sigmund Freud and Austrian Emperor Franz Joseph I. Now, the legendary Austrian watch brand has returned. Founded in 1822, Carl Suchy & Söhne soon became the most important watchmaker of the Habsburg Empire. With the aid of Carl Suchy’s four sons the company held the prestigious title of “Purveyor to the Royal Court” for three entire generations. While Carl Suchy Junior founded a pocket watch factory in the Swiss watch-valley La-Chaux-de-Fonds, son Hans opened a shop in the historical center of Vienna. The Suchy’s watches attracted attention far beyond Austria’s borders, delighted the international press at world fairs, were regularly awarded for their „perfect quality and elegance, and equipped royal courts, aristocrats’ country estates and the salons of the intellectual elite. The Viennese legacy brand returned in 2017 with an iconic model: The “Waltz N1” is the only watch to combine Viennese elegance with Swiss precision. 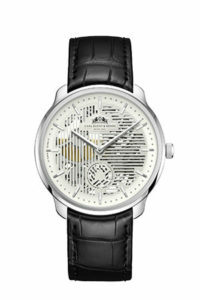 It is inspired by Viennese Modernism and the works of architect Adolf Loos, who marked the golden age of Austrian art. 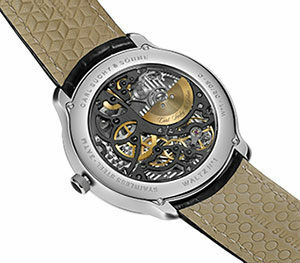 The automatic timepiece features a caliber by Vaucher Manufacture Fleurier, which has been modified by Swiss watchmaker Marc Jenni, a former member of the Académie Horlogère des Créateurs Indépendants (AHCI). It is produced over the course of seven months according to the highest watchmaking standards, using finest Swiss-sourced materials. The exclusive timepieces are available in limited production series only. Renowned worldwide, the pompous Austrian capital’s coffeehouse culture and the illustrious balls held at the imperial courts have been the basis of the Viennese art of living since the beginning of the 20st century. With its rotating “Waltzing Disk” in place of the second hand at 6 o’clock, the Waltz N°1 and its declinations honor an époque of artistic and intellectual effervescence, in which time counted little: once a minute, its guilloche-pattern on the disc aligns with that of the dial. The second hand in form of a rotating disc at 6 o’clock represents the relaxed Viennese flair: Once a minute, the guilloché pattern on the disc aligns with that on the dial – for a sense of time, in which the minute does not count. The Waltz N°1 is available in five color variations. In 2018, the Waltz N°1 Skeleton (special edition) was unveiled.